This site is fairly new to me. I have posted a Kansas Deer Hunt for sale and 9 out of 10 responsesare from different outfitters wanting me to by a hunt from them! Why am I getting these outfitters soliciting me? Just got my site updated last night, wanted people to know hope that is acceptable. I think what Justin is refering to is people who just post a ttt (to the top) type of post which is obviously just a way of bumping the thread to the top. Im not sure where to post my "hello post" as im a new member over here. Nice to join you all and i hope we can all share new things and advice ! Email me if you need any other info. Happy Hunting !!! 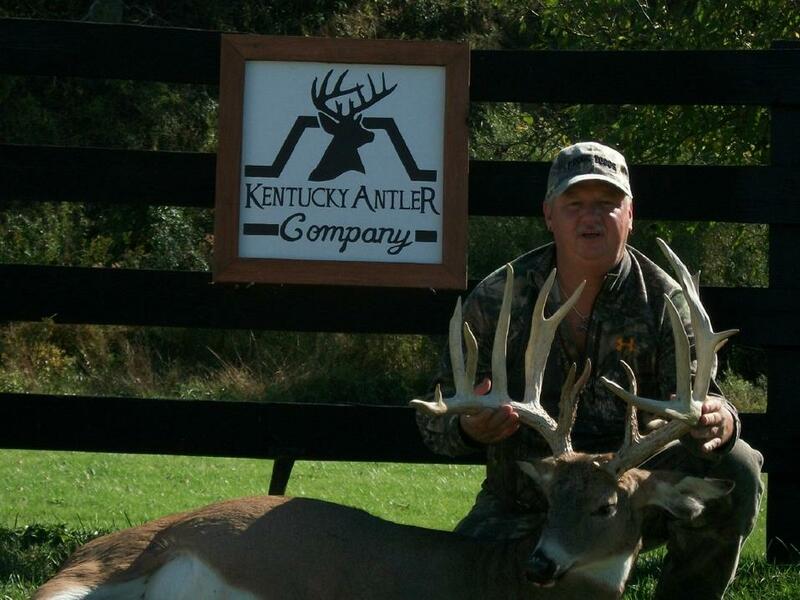 We here at Kentucky Antler Company located in Rush, Kentucky, have openings for free range whitetail hunts, bow, modern rifle, and muzzleloader. Our 6000 acres for free range is managed and semi guided. We also have openings to hunt our 400 acre preserve for trophy whitetail scoring up to 250+ . Our elk and exotic preserve is a separate 400 acres providing a challenging and exiting hunt. Preserve hunts can be filmed and provided for you at no cost. Most hunts include lodging in a first class lodge, home cooked meals, and preparation of your trophy for the taxidermist and processer. We want to provide you with a hunt of a lifetime! You can check us out at kyantlerco.com. The Airborne has landed (update page 3). Shot her page 4.